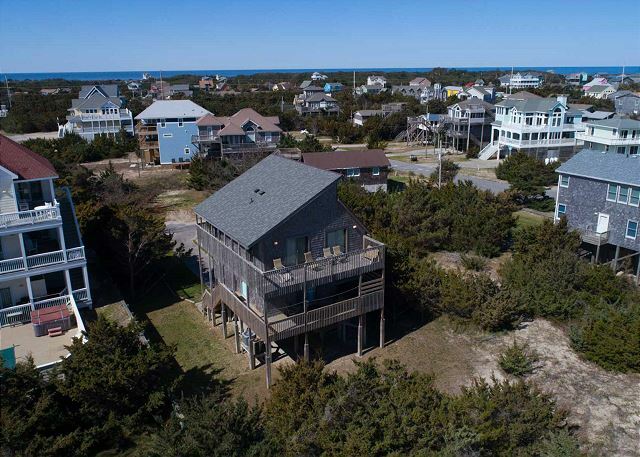 This beautiful 3 bedroom, 2.5 bath oceanfront home is loaded with traditional Hatteras Island flare that is perfect for your beach vacation. 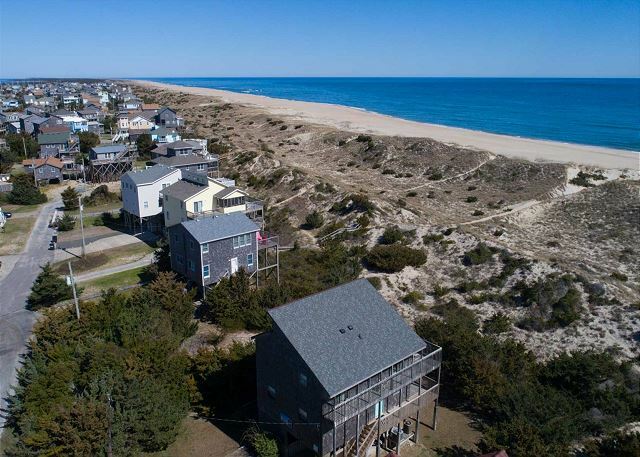 A quick walk over the sand dune path located directly below the home leads you to one of the most stunning beaches on Hatteras Island! 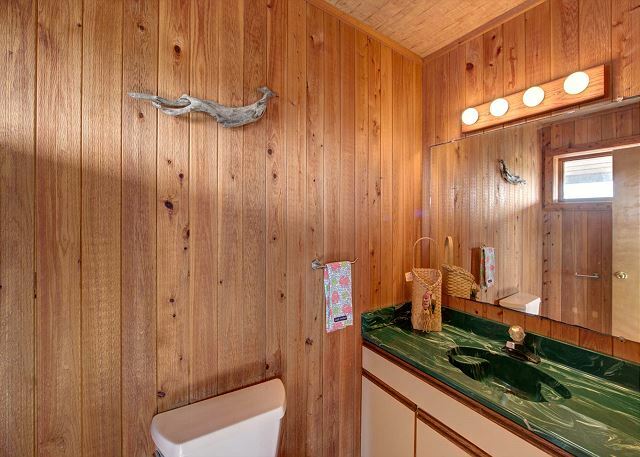 Downstairs offers a master bedroom suite with king bed with private bathroom and a writing nook that is perfect if you need to work for a short time on your vacation. 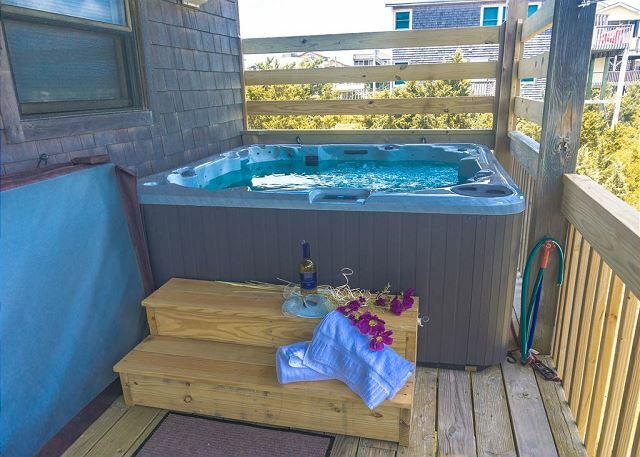 The master suite provides access to the new 8 person hot tub. 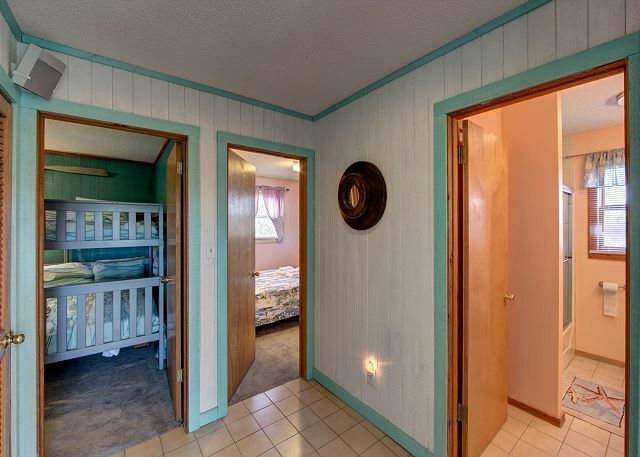 This level also offers a hall bathroom, a second bedroom with queen bed, and a third bedroom with twin over queen bunk bed as well as a twin over full bunk bed. 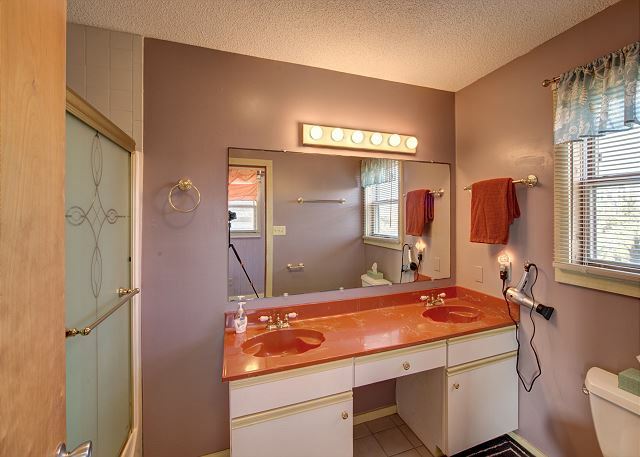 All bathrooms provide new hairdryers. 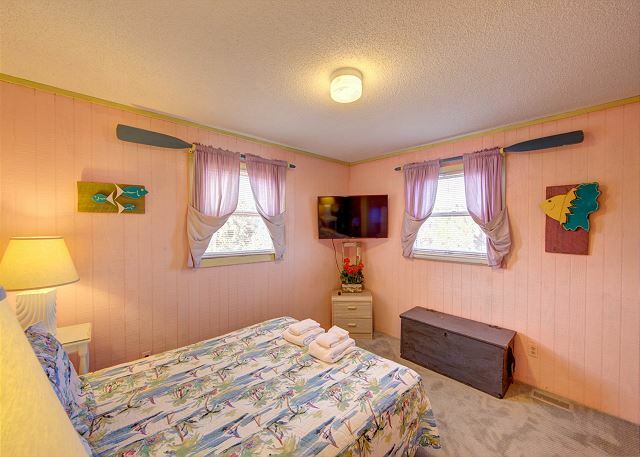 Each bedroom has a new 43 inch smart TV! 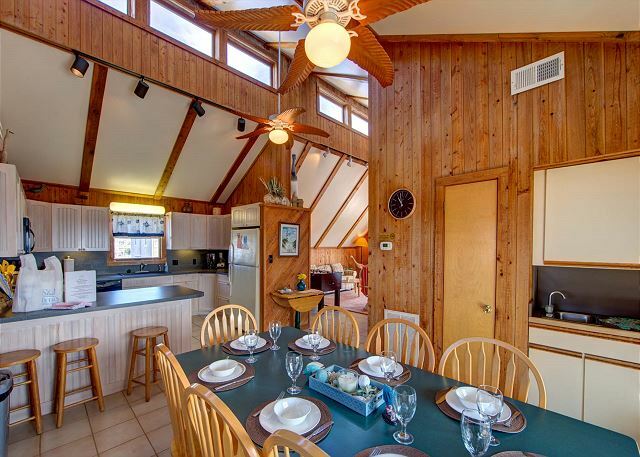 The open top floor offers kitchen, dining, large living area, wet bar, and half bath. 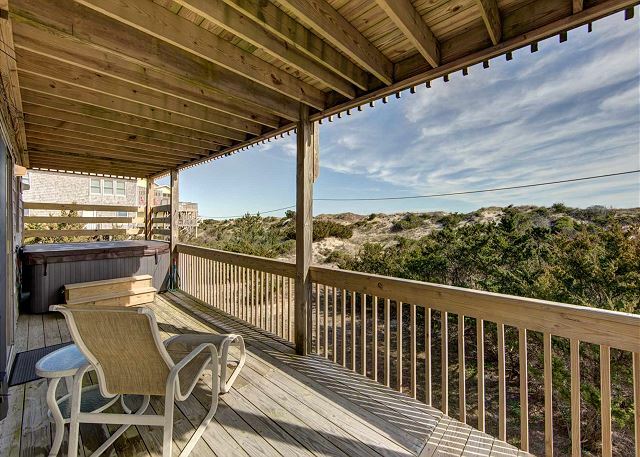 All this with a beautiful view of the ocean and dunes. 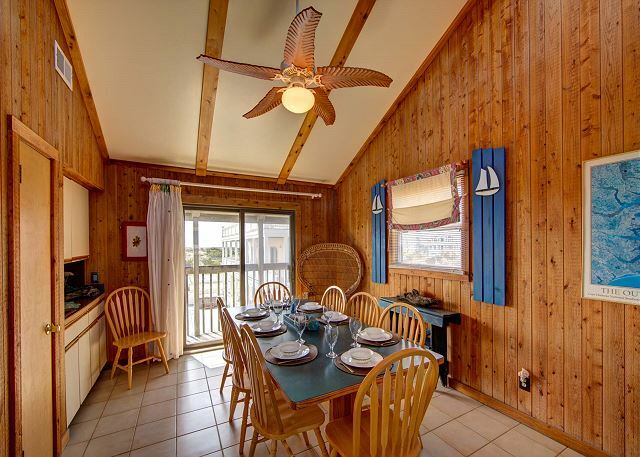 The kids can enjoy time with their favorite board game or play Foosball while you relax with family and your favorite beverage on the open deck, and the cooks for the day are still part of the gathering! 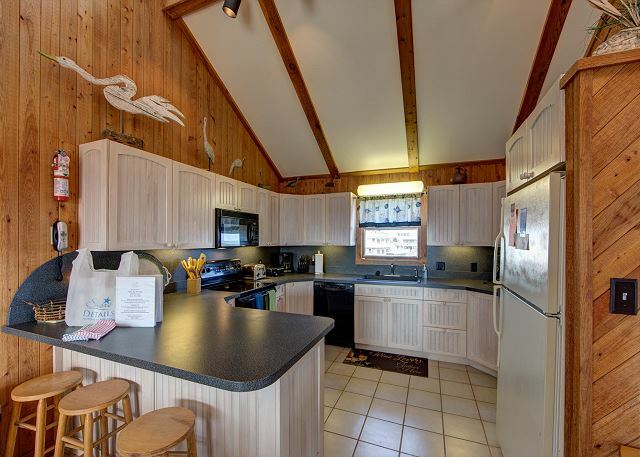 The spacious kitchen is well equipped with new appliances for 2019 including: coffee maker, waffle maker, 4-slice toaster, Vitamix blender, and new cooking utensils as well as pots and pans. The living room is equipped with a new 50 inch smart TV and a remote controlled whole-house Bose sound system that will play your favorite music throughout the entire house. As you are relaxing in the living room after a long day in the sun, you can see all around Folly by the Sea through the newly updated glass sliding doors. 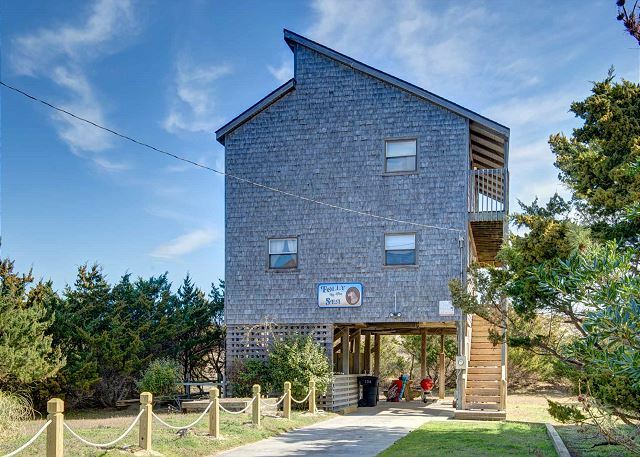 Outside Folly by the Sea offers a large outside shower, a large fish cleaning station, two charcoal grills, and a large picnic table. 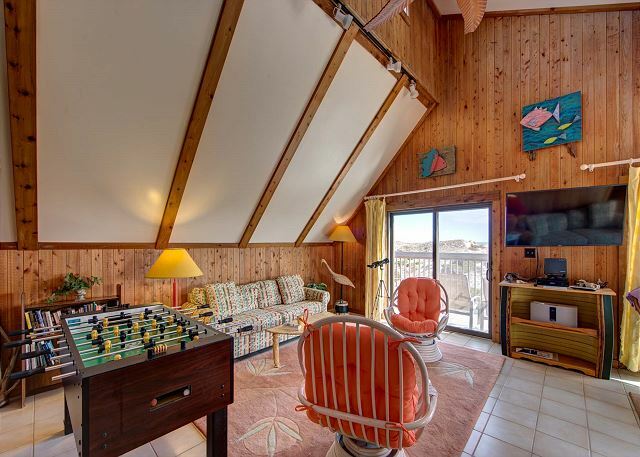 Folly by the Sea is situated in the heart of Avon Village; perfect for fishermen, beach-goers, and surfers a like! 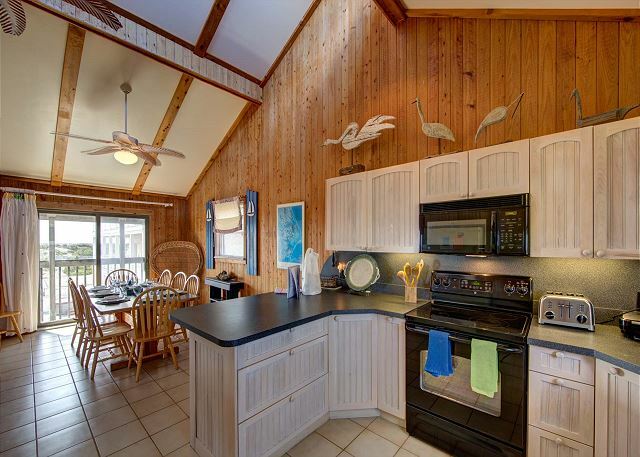 You are within short distance to the Avon Fishing Pier, local restaurants, and the Kinnakeet private pool. 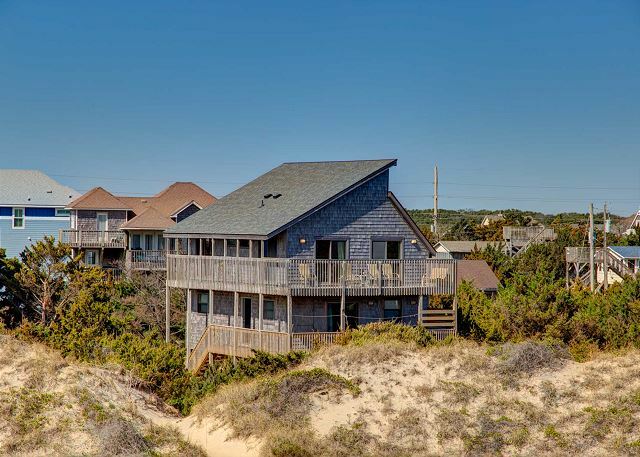 As a guest of Folly by the Sea, you will receive membership access to the Kinnakeet pool located 2.5 miles south. 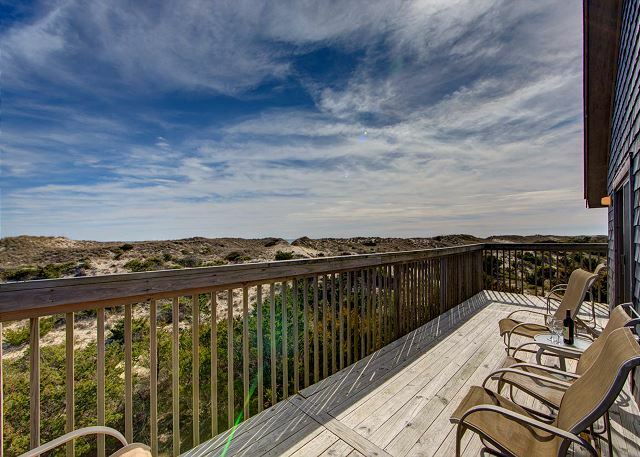 Folly by the Sea is family friendly, including your 4-legged friend! 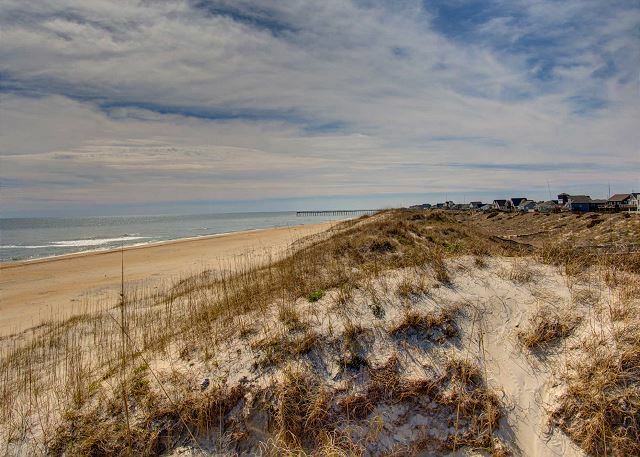 And don’t forget, when you stay in a Shore Details home you’ll have to pack less and relax more, Folly by the Sea includes fresh bed linen, bath towel sets, $250 of free beach gear of your choice ( April-October) and a 10% discount on your 3 day 4X4 jeep rental. Shore Details also has a concierge expert standing by to help plan every part of your trip. 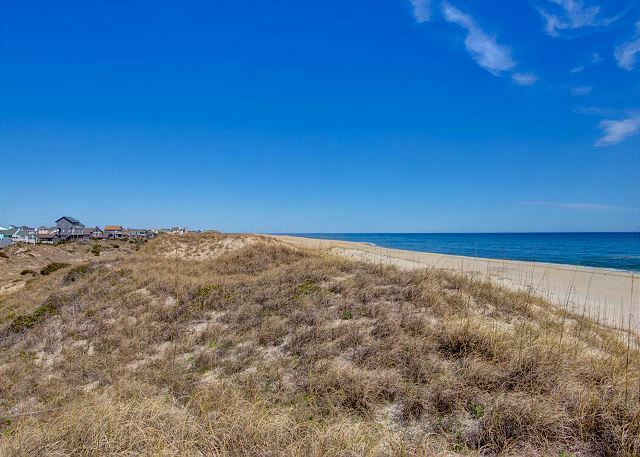 So, book your vacation today, you’ve already found one treasure, our team of experts can help you find all the treasure Hatteras Island has to offer! These extras are EXCLUSIVE to Shore Details and Folly by the Sea! It’s a great place! The only suggestions I would have would be because it accepts dogs it would be great to have a total back yard encloseure, with a gate for the sandy path. Along with a few more updates appliances...cooking untinsels and a new blender etc. a few are getting pretty beat up. Yard is pretty beat up too and cut if used the grass cut and more orderly. Thanks! Would still recommend this property! Thank you for your review, John! Shore Details and the owners of Folly by the Sea appreciate your feedback. The owners have replaced several of the kitchen appliances including the blender for the 2019 season. 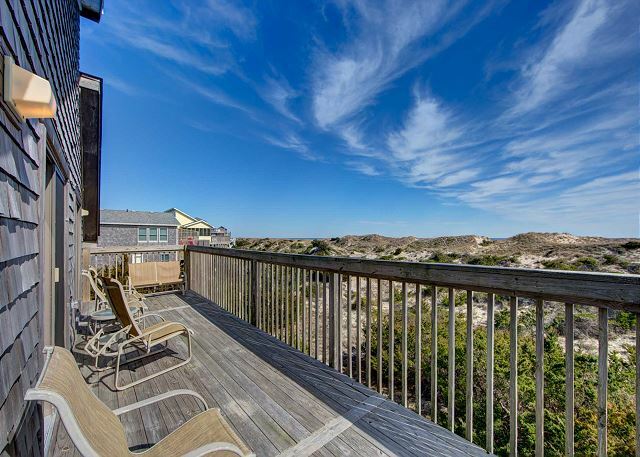 We hope that you vacation at Folly by the Sea again soon. --All the best from your friends at Shore Details.